Concordia sky | Flickr - Photo Sharing! 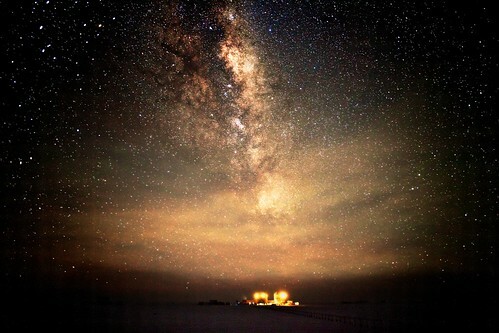 : "Another starry night - or day - at Concordia research station in Antarctica. This photo was taken during four months of winter when the Sun never rises above the horizon. Built on an ice plateau 3200 m up in one of the remotest places on Earth, the base hosts many research projects, from meteorology and glaciology to astronomy, technology and human biology. ESA sponsors a medical research doctor in Concordia every winter to study the long-term effects of isolation."